Week 39: New Children's School! This week at Trampoline House we start new hours for our Children's Club. Childcare will now be available from 1–7 pm on Tuesdays, Wednesdays and Fridays. We will also open our Children's School this week from 4–5 pm on Tuesdays, 2:30–3:30 pm on Wednesdays 1:30–4:30 pm on Thursdays. The school was created for children in the house, and offers Danish and mother tongue classes, arts and crafts workshops, and cooking classes. We will have no special events this week, as the last Friday of the month Trampoline House is always closed. This week at Trampoline House we start new hours for our Children's Club. 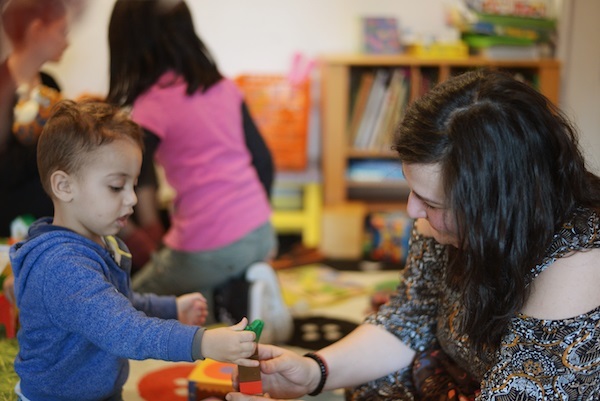 Childcare will now be available from 1–7 pm on Tuesdays, Wednesdays and Fridays. We will also open our Children's School this week from 4–5 pm on Tuesdays, 2:30–3:30 pm on Wednesdays 1:30–4:30 pm on Thursdays. From this week Democracy Class will move from Fridays to Thursdays and will take place between 1:30 – 3.30 pm in the Big classroom. English Class intermediate on Tuesdays from 1–2:30 pm has been cancelled permanently due to not enough students. However we still offer English for beginners on Tuesdays from 1–2:30 pm, and English intermediate on Wednesdays from 1–2:30 pm in the Big classroom. Older PostWeek 38: New exhibition, "Decolonizing Appearance"